The exterior of The Hoxton Holborn hotel is part Grade II-listed Victorian. In London. Celeste Mitchell pops into the Hoxton Holborn and might just have discovered the Holy Grail for travellers wanting stylish accommodation in a convenient London location without paying an arm and a leg. If a DJ in the lobby is a sign of a hip hotel, The Hoxton Holborn cuffs your hems and shows just that little bit more ankle. It’s 8pm on a Friday and we’ve clearly just walked into one of London’s coolest after-work hangs. The lounge slash co-working space slash bar is buzzing with entrepreneurs hunched over Macbooks, girlfriends debriefing, and suits and sneakers equally matched in a melting pot of house music and aperitifs. The inviting reception lobby of The Hoxton Holborn, London. It’s a great space with thoughtful touches such as fresh juice and iMacs. Check-in is warm and swift, and I’m almost too busy taking in the menagerie of curiosities behind the reception desk to hear about our complimentary breakfast bag. A quick check shows it’s as simple as two ticks and a hang on the door – we’ll wake to a granola pot, banana and OJ each at our preferred time. In the manner of Ace and QT Hotels, The Hoxton purveys a brand of quirky individuality across three properties in London and Amsterdam, with new openings due in Williamsburg and Paris. The original Shoreditch incarnation turns 10 this year. Industrial lighting hangs above the dining space of The Hoxton Holborn in central London. We’ve booked a Cosy Room – the third largest of four room categories (the ‘Shoebox’ proves space is tight in Central London) – and a slide of the room key invites us into a warm setting. From the Penguin classics on the writing hutch, to the copper nest of tables and plush leather armchair, everything has been thoughtfully positioned in the 18-square-metre room. There’s a small hanging space, mini fridge with complimentary water and milk, and extra pillows are stored in a drawer under the bed. With Herringbone floorboards underfoot, there’s a backlit circular mirror on one wall and the comfortable double bed is framed by a geometric brown leather bed head. The Hoxton Holborn’s aptly named Cosy Room, space is tight in Central London. But what immediately grabs me, more than the ‘Chill’ playlist wafting from the Roberts stereo, is the wallpaper – a mashup of Charles Dickens and Monty Python references. With the bespoke design, and playground of eats, drinks and beats downstairs, you’d expect the price tag to match the address. Let’s face it; the Queen’s hometown doesn’t really do budget, and accommodation prices here can melt your credit card, even before you factor in the exchange rate. But so far this two-year-old hotel is ticking all the boxes. While check-out is midday, I read in the Survival Guide (AKA millennials compendium) that we can extend to 4pm for $8 per hour. Since we’re flying home the following evening, I do just that. After a blissful, strong shower – despite finding no powerpoint in the bathroom to dry my hair – we slide into a booth at Hubbard & Bell downstairs, the name a nod to the building’s former life as a telephone exchange. Dine in London’s retro-style restaurant, Hubbard & Bell. Our last night in London calls for gin, and our Hoxton Garden cocktails make it dance with basil, grapes and elderflower. Salads are well put together but the grill is the star here. Plates of lamb belly and porchetta are swiftly delivered and devoured, but we’re left pining for a dessert menu long enough to opt for an early night. For all the action downstairs, it’s surprisingly quiet in our room. After a solid, uninterrupted sleep I realise the heavy, velvet black-out curtains may just be the most effective I’ve come across. We sleep well past our breakfast bag drop-off at 8am. With less people in the lobby, I notice Vogue and National Geographic magazines stacked next to deep leather lounges, three iMacs lined up for guests to use, a coffee stand serving cold-pressed juices and pastries alongside lattes, and artworks covering almost every available wall space. While we could happily lounge here all day, a 10-minute stroll finds us in the epicentre of Soho. 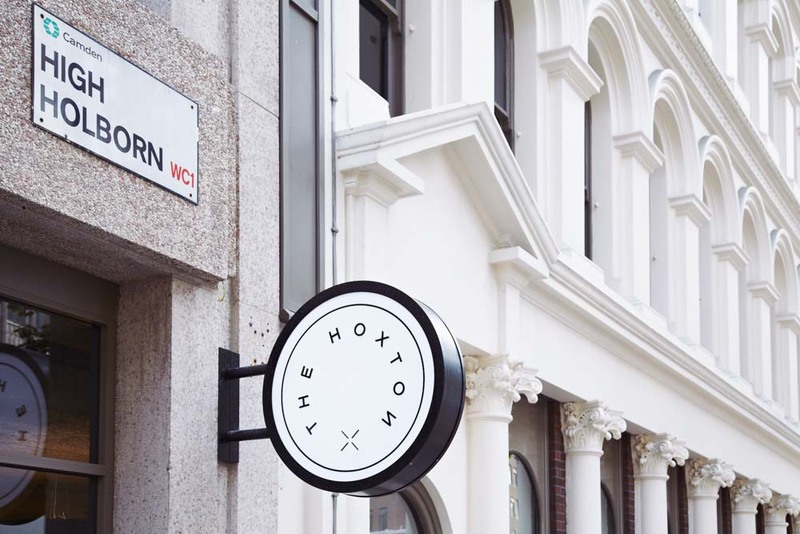 The handy Hoxton Guide from our room provides a tight edit of the team’s local suggestions as a starting point for exploring, like Monmouth Coffee and the British Museum. Bidding adieu to Old Blighty, we walk two minutes to Holborn tube station, with direct delivery to Heathrow for just $9. There’s just no DJ, sadly. The Hoxton adds real personality and affordable luxury to the concrete jungle of London’s ‘Midtown’. Central without feeling touristy, though the surrounding streets can feel a little staid… for now. A perfect balance of hipster and polished peacoat. Vintage furniture and warm tones make the perfect canvas for its quirky embellishments. Check-in staff were faultless but waiters, though charming, left us in the lurch. Stylish, ambient and really comfortable, with solar eclipse-inducing black-out curtains. Fine for when you don’t want to have to think, or travel, but nothing to write home about. The coffee in the attached Hoxton Grind is a plus. Our Cosy Room cost $296. We paid $32 more for late check-out. 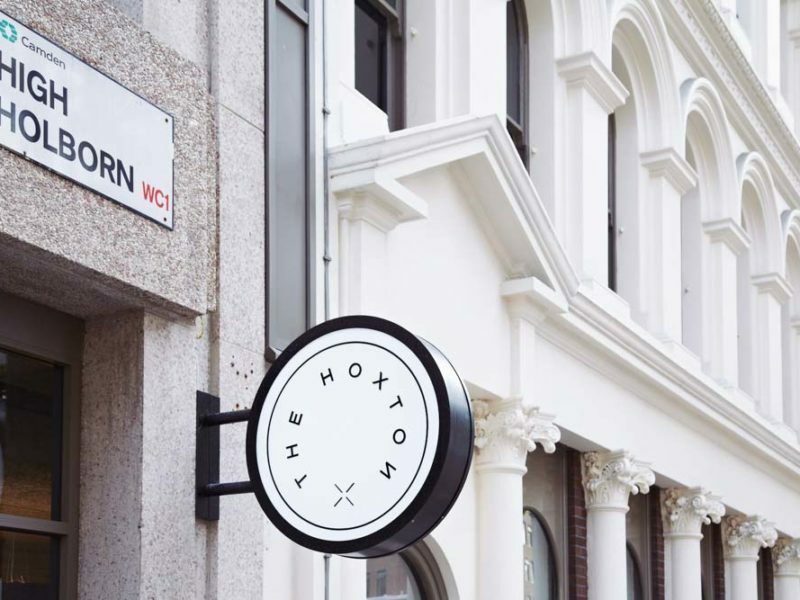 The Hoxton Holborn, London is only a stone’s throw from Covent Garden, Oxford Street, Bloomsbury and Farringdon. Situated on the Piccadilly line and surrounded by ’55’ buses, it’s incredibly easy to get to from anywhere. If you’re interested in planning a trip to London, be sure to check out our extensive London travel guide for everything you need to know.